Are Bamboo Coffee Cups better for the environment? Posted on 4th March 2019 at 2:03 pm. It’s important to understand the full process that takes place in getting the Branded Bamboo Coffee Cups into use and looking at how they are made and the impacts as a result when answering this question. Bamboo is fast-growing and can be cultivated without pesticides, so it makes sense that they are an eco-friendly option when it comes to reusable coffee cups. However, it’s also worth thinking about how truly “green” a product is if they are transported so far, to combat this we don’t air-freight and do all our cup branding in house within the UK. What material are Bamboo Coffee Cups made from? Bamboo Coffee Cups are made with naturally sustainable bamboo fiber, combined with corn starch to form a paste (80%) which is then mixed with a resin. This helps ensure the bamboo cups are both durable and suitable for the high temperatures required of them with coffee and tea. They are BPA free as well as from phthalates and petrochemical plastics. The resin contains melamine in accordance with EU regulations to ensure food safety to the very highest standards. The manufacturing uses minimal energy and CO2. Post life cycle, what happens if my bamboo coffee cup is no longer usable? The Branded Bamboo Coffee Cups themselves are fully compostable with the bamboo material biodegrading in a fairly short period of time. The silicone is also fully recyclable allowing the lids and grips to be reused on another cup or recycled which is great as there is a global shortage and prices are creeping up as a result. 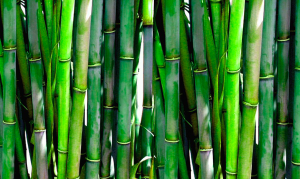 The bamboo itself is a grass species that can grow up to a meter a week. When harvested, it re-shoots from its extensive root system and does not require replanting. Bamboo has many other uses and is an increasingly important resource globally. It can also be used as food, substrate and shelter and is sustainable and cost-effective yielding far more tons per hectare than any tree or a plant such as cotton with very little maintenance required. All our branded bamboo coffee cups originate from the Zhejiang province in China and specifically from one of the world’s oldest, sustainably managed forests. The raw material harvested is the waste from chopstick manufacturing. Bamboo also helps reduce CO2 in the air by 4 times more than an equivalent area of trees whilst also generating 35% more oxygen! In other words, the farmer’s lungs are grateful for each branded bamboo coffee cup purchased that helps this industry continue to grow. A great benefit of using bamboo as the organic base for products is that there are no need for pesticides or fertilizers when growing bamboo. This allows a natural eco-system of insects, birds and small animals to exist in harmony. Bamboo helps reduce CO2 and can generate up to 35% more oxygen than equivalent stands of trees. One hectare of bamboo sequesters 62 tons of carbon dioxide per year while one hectare of young forest only sequesters 15 tons of carbon dioxide per year. The bamboo cups have recently been tested for durability and came through with flying colours. The branded bamboo coffee cups are proven to last and are robust enough to withstand most falls although can break depending on the height, surface dropped against and angle of impact but will last for years if treated well. They are not microwave friendly as this can weaken the material over a period of time so not recommended but can go in the dishwasher. ‌‌The printing technique used is done to last with the ink applied that is especially designed for silicone material and also used on silicone swimming hats. Bamboo Cup lids and sleeves are made with highest food grade quality silicone, which is BPA and phthalate-free and has Europe (LFGB), Japan and US FDA food safe approval. Designed for temperatures above 120 degrees Celsius and can be recycled after a lifetime of use. Natural, matte, tactile surface: not “plasticky”. 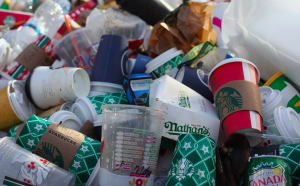 The volumes of single use coffee cups that are disposed of are quite simply staggering, about 2.5 billion takeaway coffee cups are thrown out each year in Britain. Of course, a reusable cup does cost more than a single use cheap one but it quickly pays for itself, particularly with the discounts on offer in most high street coffee store chains. Larger chains are taking a stance on this and encouraging consumers to use reusable cups which is helping reduce this throwaway culture and the branded bamboo coffee cups provide a great opportunity to not only save money on each coffee purchased but also to do your bit for the eco system. Other benefits are also that you don’t get the awful cardboard taste when using reusable cups that you do with paper ones and look great at the same time with a stylish cup. The branded bamboo coffee cups are durable enough to survive drops and bashing around in a handbag but replacement parts are available should they be needed. As well as being practical the bamboo cups are of course aesthetically pleasing and attractive on the eye. Overall the branded bamboo coffee cups get top marks for their overall life cycle carbon footprint, particularly when compared with any single use or compostable cups, as well as ensure a stylish and user-friendly end product so we strongly recommend them for all coffee drinkers. However, they do come at a price, so perhaps for a more affordable you may consider UK manufactured Americano Cups found here. If you are happy with You get what you pay for then pick yourself up a branded bamboo coffee cup for an unbeatable price here or perhaps get a set of bespoke printed cups starting with an order of 36 units here. Branding the cups ensures that they really stand out with a professional look to increase your organisations’ brand awareness. 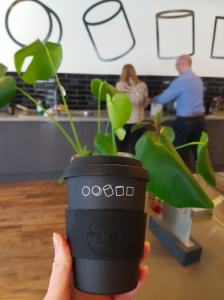 Colleagues, clients, students, customers, friends and family will be impressed with the sustainable approach when they see your branded bamboo coffee cups. Whether it be in your café, school, church or university, perhaps the local council, hospital or private organization or even sports club or market stall, the opportunities are endless. One thing all users have in common is that each and every single use of a branded bamboo coffee cup is a visible show of strength to help combat the use of single use cups, in the fight to refill rather than landfill. Looking to buy Branded Coffee Cups? We can custom print your coffee cups. These make an ideal gift for your staff, customers and clients alike. Posted on 21st February 2019 at 9:27 pm. 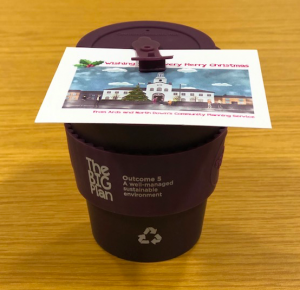 Ards and North Down council team who are behind the Big Conversation, chose to implement reusable bamboo coffee cups in a move towards a more eco-friendly approach to drinking coffee, they implemented the reusable printed coffee cups presenting them to their partners as a gift but with the update that they would no longer be providing any single use plastic cups for tea and coffee. 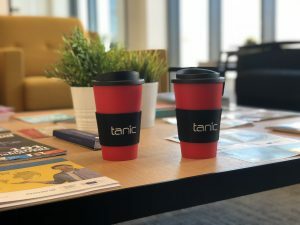 Partners were asked to bring along the branded Big plan cups to each meeting to ensure as an overall project they were doing their small part to help reduce single use plastic waste and it’s impact on the worlds oceans and the wider environment. Many councils across the UK have been looking to increase the awareness of ongoing environmental projects in an effort to politely nudge and improve ongoing efforts to reduce carbon footprint, particularly in coastal regions where the effects of plastic waste can be seen up closely. Re-usable Bamboo Coffee Cups are a perfect solution to this problem. The Community Plan ‘The Big Plan for Ards and North Down’ is named as such because it is ambitious and takes a holistic approach at what they are looking to achieve in the future. It is a clear long-term vision stating the outcomes we want to achieve within the geographical area of Ards and North Down. The focus of the plan is broken up into 3 areas, the social well-being, the economic well-being and finally the environmental well-being. The 3 pillars are something BrandedCoffeeCups.co.uk aligns with closely. By offering the reusable cups at affordable prices they help make them available to all regions and organsiations. The use of reusable cups then creates more pleasant environments for people to work, live and play in where they can subtly be more conscious of their waste and reduce unwanted litter on the floor. Finally the environmental pillar speaks for itself and clients of BrandedCoffeeCups.co.uk must have a strong sense of corporate social responsibility otherwise they wouldn’t engage and allow them to carry out their sustainable cup supply. Notable residents from the area include former footballer Keith Gillespie, Eddie Izzard, the Snow Patrol band and Eddie Irvine from Formula one racing, they would no doubt be delighted to see how great the local community and council are being towards the conservation of their beautiful home region. BrandedCoffeeCups.co.uk estimates that more than 100 billion single-use cups go into landfill across the world each year, the Great Pacific garbage patch sized wasteland is currently twice the size of Texas and growing. 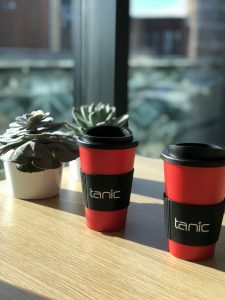 If you think you’d like some reusable branded coffee cups for your company or organization please get in touch via phone or email and BrandedCoffeeCups.co.uk will be happy to help. Media enquiries about BrandedCoffeeCups.co.uk or more information on this story please contact Peter Reynolds at support@brandedcoffeecups.co.uk or call 00447925090531. Posted on 29th January 2019 at 9:28 pm. Robus,an Irish owned company, have a global presence and a reputation worldwide for first class customer service and products, this year they decided to move towards a more sustainable approach with their head office coffee drinking. 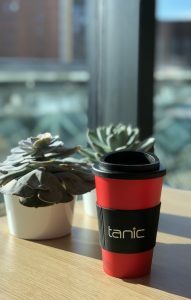 They implemented the reusable Americano coffee cups for their events to help drive the fight on plastic waste by using brandedcoffeecups.co.uk who supply reusable, printed coffee cups which are available in several different designs. The award-winning organization is one of several across the Irish channel in the Emerald Isle to implement reusable coffee cups. A recent upsurge in green thinking to match the countries’ green image and colour has also lead to the announcement that Croke Park will be banning single use plastic. Robus are an innovative group who save energy with their investment and research into energy saving lighting. They proudly sponsor Irish sports stars including the late William Dunlop’s Yamaha Superbike as well as professional golfer Neil O’Briain, winner of the PGA Irish Club Professional Championship. Robus are use the re-useable coffee cups around the workplace where the screw top spill proof lids have no doubt saved a few headaches and money from coffee drowned laptops. 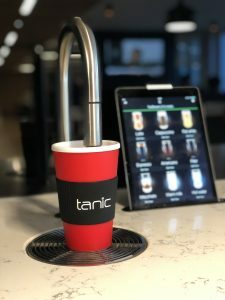 Staff are able to take their drinks on the move and into client meetings, highlighting the Robus brand and it’s great reputation with catchy slogans included in the design. 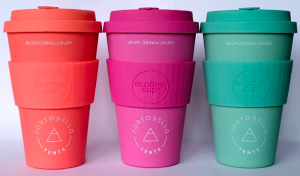 The re-useable coffee cups, which are fully printed are supplied by www.brandedcoffeecups.co.uk, Peter Reynolds, MD said “I began the business a few years ago after becoming so disheartened with the amount of waste produced by single use cups. The first few years were very slow indeed, people didn’t really get the idea or were put off by the price being more than single use alternatives. Now, with the increased focus in the media, both in the UK and globally, on reducing disposable single-use cups and having a greater conscience regarding our carbon footprint and protecting the oceans things are looking much better. We are confident that this year will be our busiest year by far and it we will save hundreds of tons of waste from becoming landfill.” We now have a great ranged including Bamboo re-usable coffee cups and Americano re-useable coffee cups, all of which can be printed with a company logo or be-spoke design. Posted on 29th January 2019 at 9:11 pm. 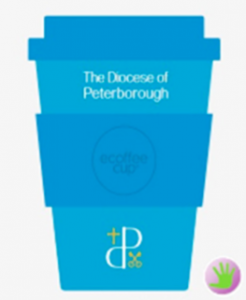 Deciding to improve their sustainability with implementing reusable bamboo coffee cups for their coffee mornings and other voluntary and fundraising events The Diocese of Peterborough are driving their fight on plastic waste by using Happycups, a eco-friendly reusable, branded coffee cup. The re-usable bamboo coffee cups are provided by brandedcoffeecups.co.uk, Peter Reynolds, MD said “I started the business some years ago after becoming fed up with the waste produced by single use coffee cups. The first few years were slow, people didn’t really get the concept or were put off by the price being more than single use alternatives. Now, with the increased focus in the media around the world, on reducing disposable single-use cups and having a greater conscience regarding our carbon footprint and protecting the oceans things are looking much more positive. We are confident that 2019 will be our busiest year yet and we will save tons of waste from becoming landfill. If you think you’d like some reusable branded bamboo coffee cups for your church, temple, charity or fundraising event please get in touch via phone or email and BrandedCoffeeCups will be happy to help. Media enquiries about Happycups or more information on this story please contact Peter Reynolds at support@brandedcoffeecups.co.uk or call +447925090531. Posted on 14th December 2018 at 8:13 pm. Posted on 10th November 2018 at 2:29 pm. Posted on 7th November 2018 at 1:16 pm. What does BPA free mean? Posted on 5th November 2018 at 8:53 pm. BPA stands for bisphenol A. BPA free means the product does not contain BPA. BPA is an organic synthetic compound with the chemical formula (CH₃)₂C(C₆H₄OH)₂ belonging to the group of diphenylmethane derivatives and bisphenols, with two hydroxyphenyl groups. What is the best material to use for coffee cups? Posted on 5th November 2018 at 8:49 pm.